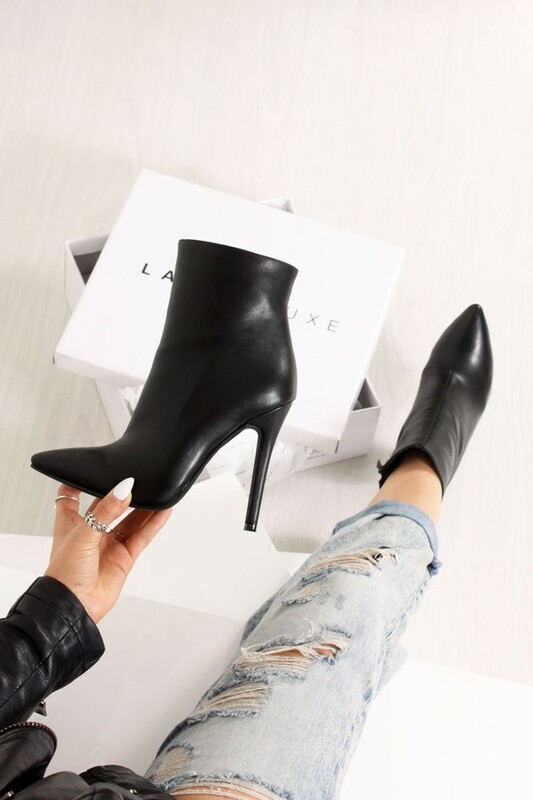 Simple and sophisicated is the key so add these faux leather stiletto boots to your shoedrobe! Featuring a pointed toe to add some sassy vibes, and a stiletto heel for a killer look! With an easy inside zip for an extra elegant feel.